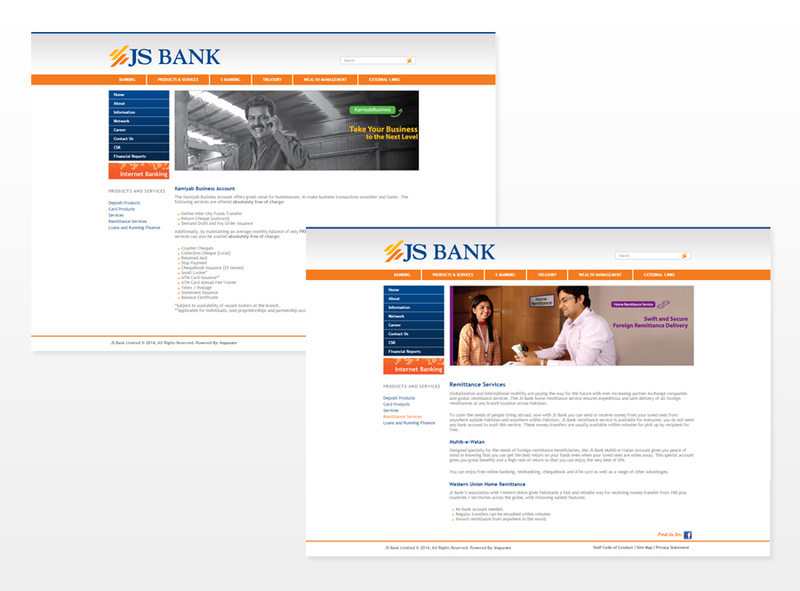 JS Bank is one of Pakistan’s premier and fast growing banks boasting 307 branches in 152 cities. Inspurate Business Services helped design and develop a new online look, an intuitive and easy to navigate corporate website allowing customers easy access to information. The platform was built on modular technology allowing for future growth and expansion in the online space, while ensuring absolute security with stringent security patches and widgets. 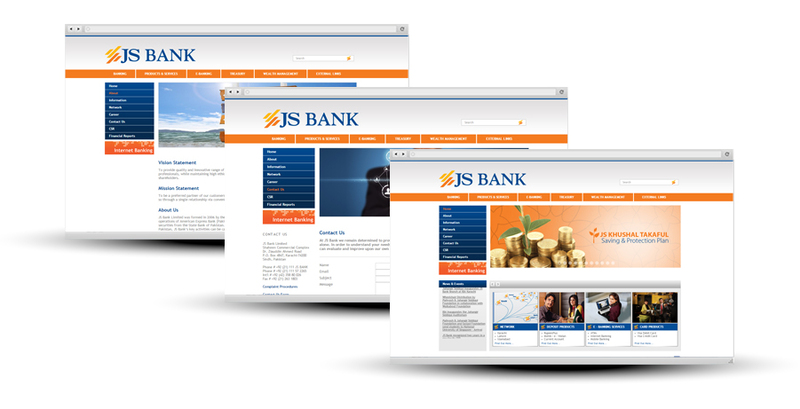 Inspurate Business Services continues to provide daily support to JS Bank that include: ongoing content update, back-end software support and maintenance, security patching as and when needed, additionally server support. We have gone through three back-end overhauls on the site where as part of the software updates a complete penetration testing was performed and all security vulnerabilities were patched. At Inspurate Business Services we give top priority to (1) cybersecurity and (2) User Experience.